Animal rights organizations are turning to A-list advertising agencies to create powerful visual messages that they hope will raise awareness about animal abuse and endangered species. The results are striking, memorable images that evoke ideas as effectively as they do emotions. 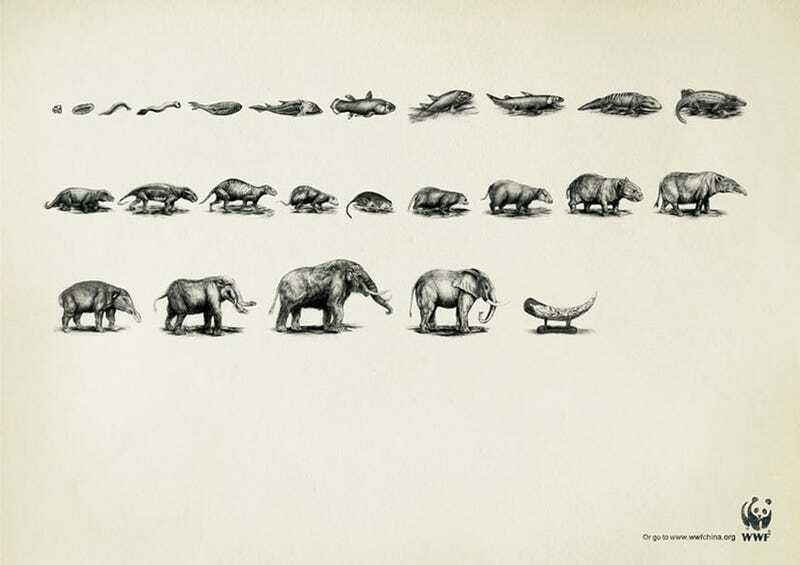 Bored Panda has compiled an extensive collection of these ads, representing such groups as the World Wildlife Fund and the International Fund for Animal Welfare. In light of the most recent report on animal poaching—which revealed that 20,000 elephants were killed last year for their ivory—the imagery is more salient than ever.